This is a vegetarian version of rice recipe. 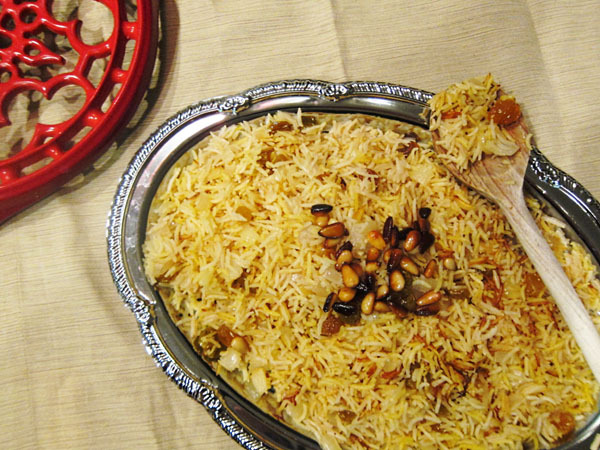 Mughlai Rice are delicious to eat with nuts. A tempting recipe by Chef Zakir, don’t forget to try this rice recipe. Boil almond in water, drain water and add cold water in almond. Remove skin of almond. Fry onion in ghee when turn to soft add sabet garam masala, green chilies, almond, pistachio, raisins, dry apricot, nuteug powder, plum and then stir in rice. Add 1 and ¼ cup of water in rice along salt and cook (check salt). Cook till water dry and bubble arise. Simmer rice for 10-12 minutes.